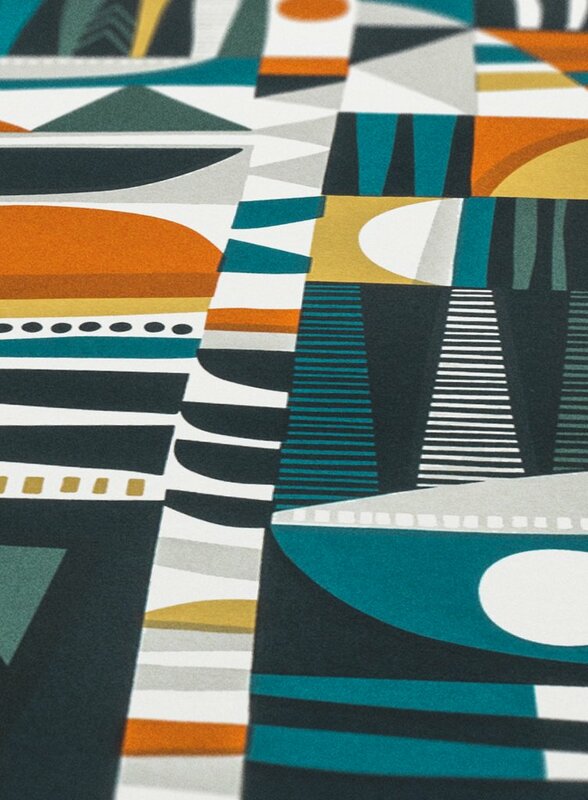 It was a pleasure to print for acclaimed Brighton-based printmaker and textile designer Sanna Annukka. 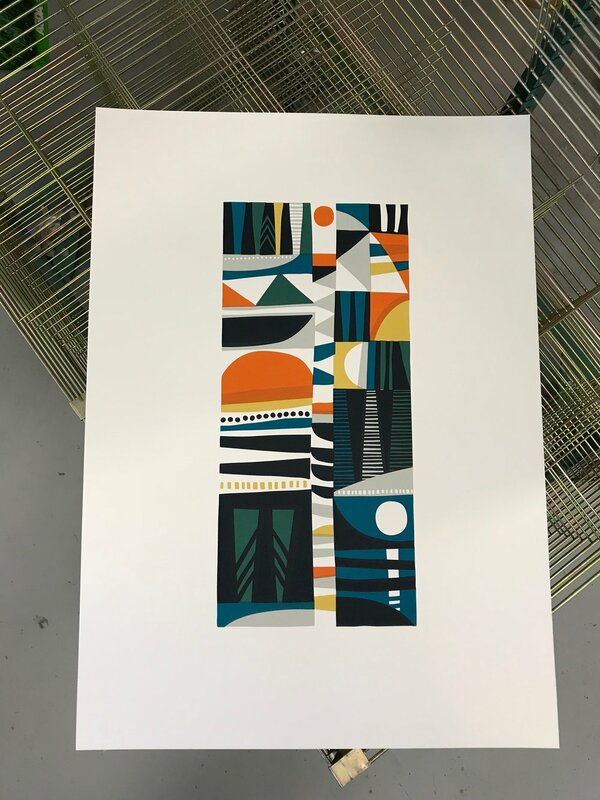 Sanna's carefully contructed pieces suit screen printing perfectly, where colours overlap a stunning depth is created and secondary colours are created. The print is available to buy on Sanna's site.